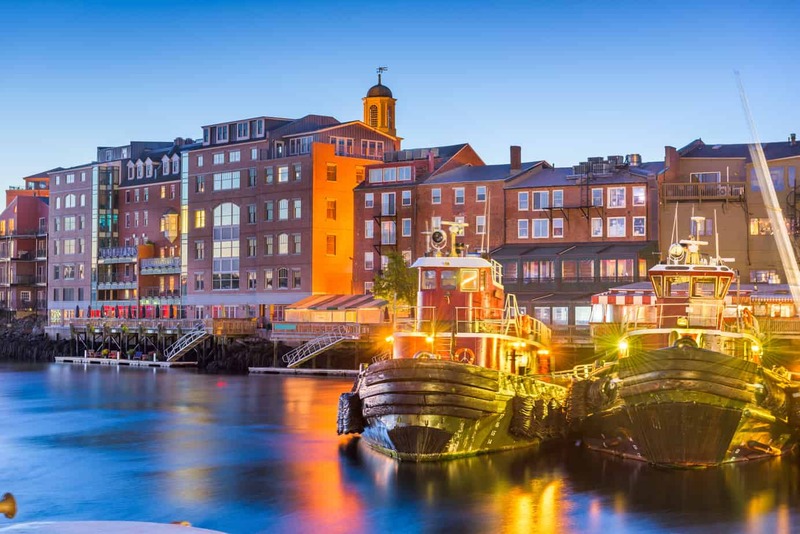 Portsmouth, NH, located about an hour north of Boston, is one of New England’s most popular port towns. With plenty of interesting shops, wonderful places to eat, and history to explore, it’s no wonder that it is such a tourist destination for those in the know. 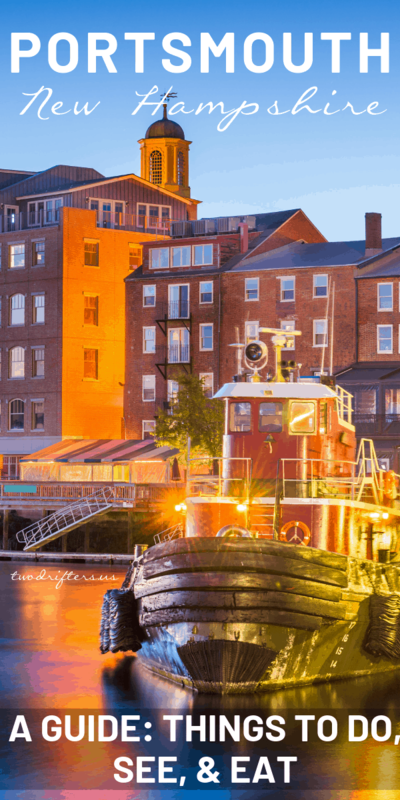 Whether you’re looking for a weekend getaway from the city or want to experience the charm of New England coastal cities for the first time, there are so many exciting things to do in Portsmouth NH and it should definitely be on your list. The first time I visited Portsmouth, I didn’t know what to expect. I’d heard that it was a lot of fun but I didn’t know a lot about its history or the best things to do. Luckily, I went with someone who had been there before and acted as my tour guide. recommendations for a perfect Portsmouth day, Portsmouth weekend getaway, or itinerary for however long you’re visiting. This is a guest post from Tori of Live. Travel. Adventure. Bless. 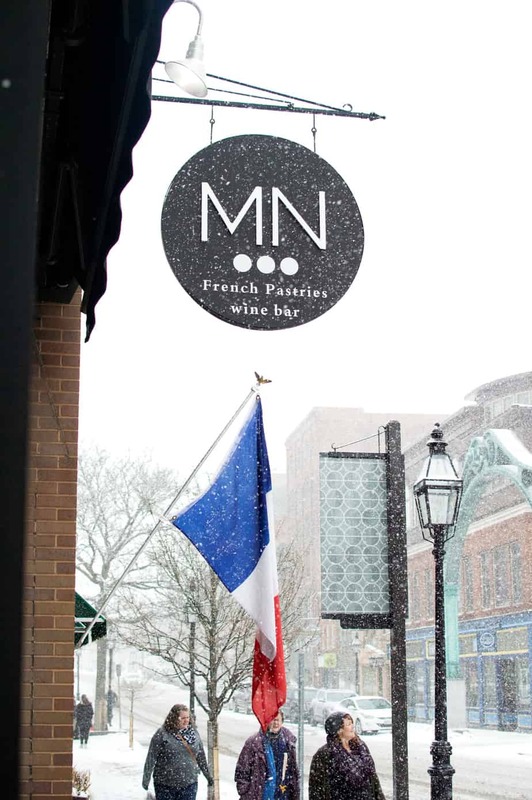 To start your day off right, I recommend a visit to La Maison Navarre, which is a charming French Patisserie, Bistro, and Wine Bar located on Congress Street in downtown Portsmouth. Stepping inside, it feels like a traditional French bistro with antique posters hung on the walls and a long counter with bar seating where you can sit and watch the busy staff prepare your crepes. also serve a full table service brunch menu. 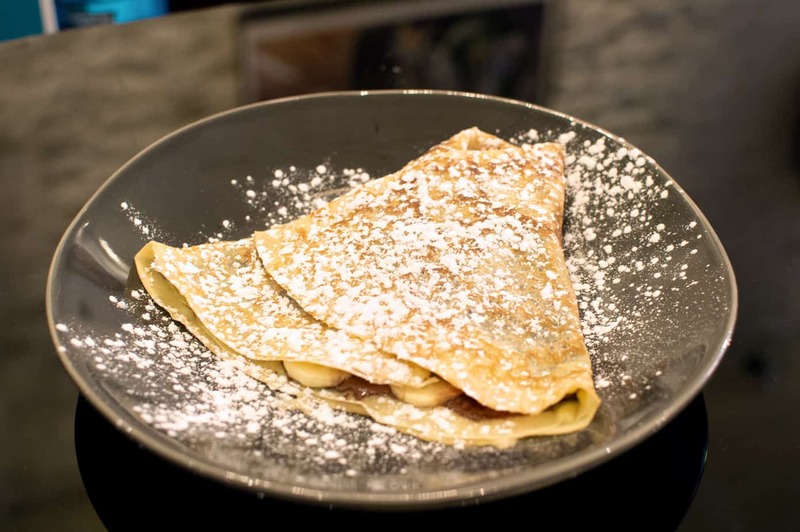 They offer a wide selection of delicious sweet and savory crepes (My favorite is the nutella with banana and strawberries!). 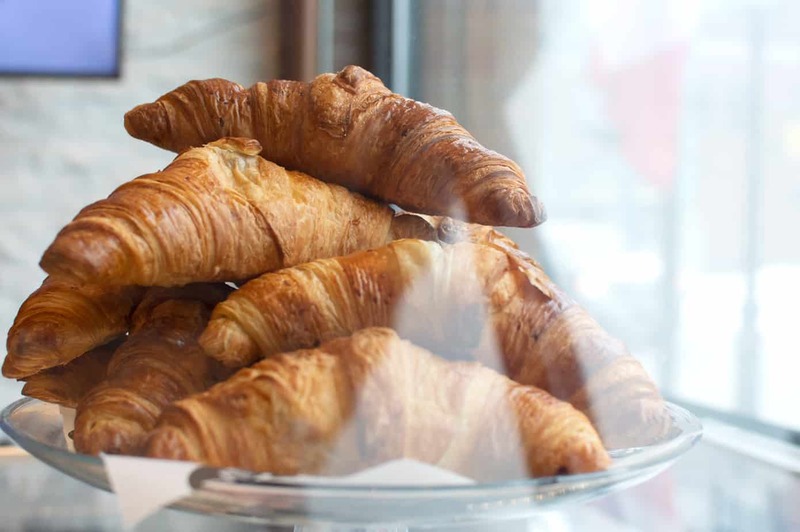 If you just want to grab something quick and light, they also offer a selection of beautifully crafted pastries including croissants, pain au chocolat, brioche and traditional French baguette which is served sliced with a side of French butter and jam. 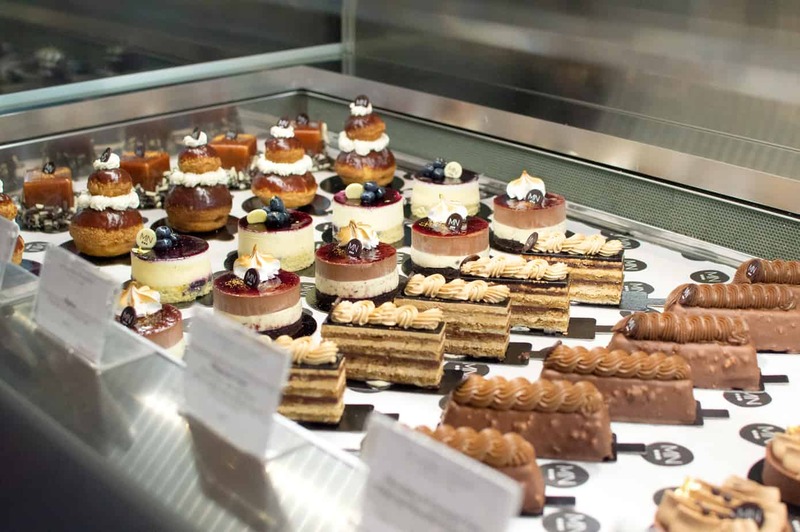 They also have an impressive selection of specialty desserts, which look almost too beautiful to eat, as well as a wide variety of housemade macarons (including some made with ice cream!). If you prefer American diner food to European fare, right next door is another wonderful establishment called The Friendly Toast. It is part of a very popular local franchise with 5 locations: 3 in Massachusetts, 1 in New Hampshire, and 1 in Vermont. The Portsmouth location in particular seems to always be very busy. 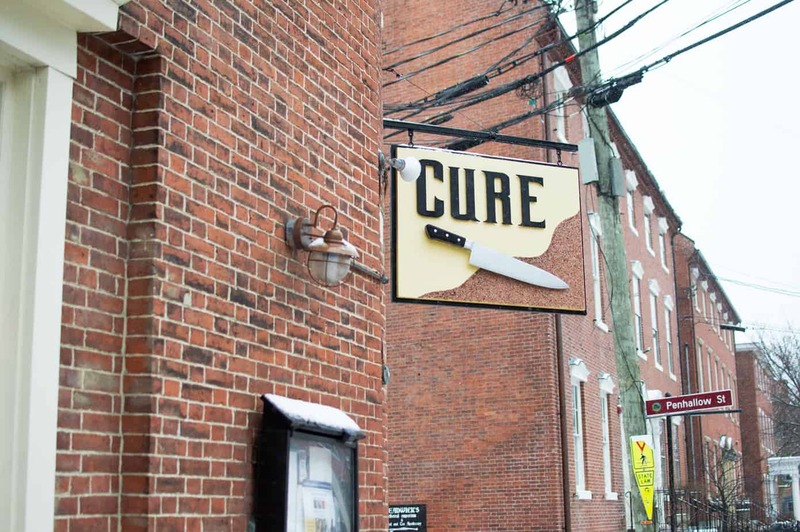 Unfortunately they don’t take reservations but they are partnered with Yelp and the NoWait app, which allow you to put your name on the waitlist ahead of time so you can arrive right when you’re ready to be seated. The space is pretty large and covered in colorful, eclectic décor featuring a number of retro signs, board games, quirky artwork and a giant seahorse. They have an extensive breakfast, lunch and dinner menu including vegetarian and vegan options, with all items available at any time of day. When I go, I tend to go for their basic breakfast with two of their perfectly poached eggs! After getting breakfast, you can learn more about the history of Portsmouth by heading over to the Strawbery Banke Museum, which is about a 10-minute walk away from Downtown. Strawbery Banke is a 10-acre outdoor history museum detailing the story of how the settlement was founded and what life was like for those who lived there. When visiting, you enter through the Visitor Center where you are shown a short intro video before being led out by a tour guide into the historic neighborhood. You are then given the option of remaining with the group or going exploring on your own. Even if you choose to split off, there are signs posted throughout which detail much of the history. Also, I encourage you to talk to the staff posted in different locations who are often dressed in historic garb. They are very knowledgeable about the history, and can give you a really good snapshot of daily life during the period they’re portraying. There are 39 historic buildings to explore. One of the most impressive is the Goodwin Mansion, which, as the name implies, was home to one of the wealthier families in Strawbery Banke. 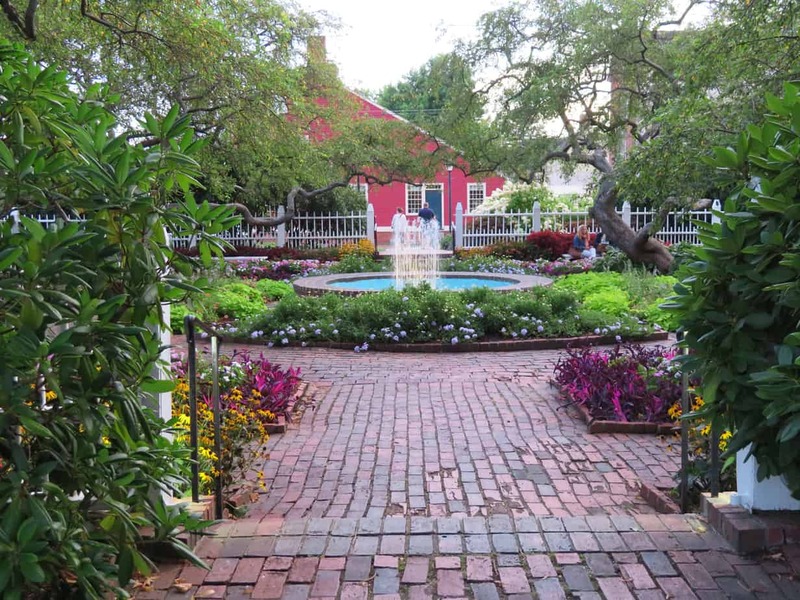 The grounds of that home also feature a greenhouse and one of the Banke’s several historic gardens. 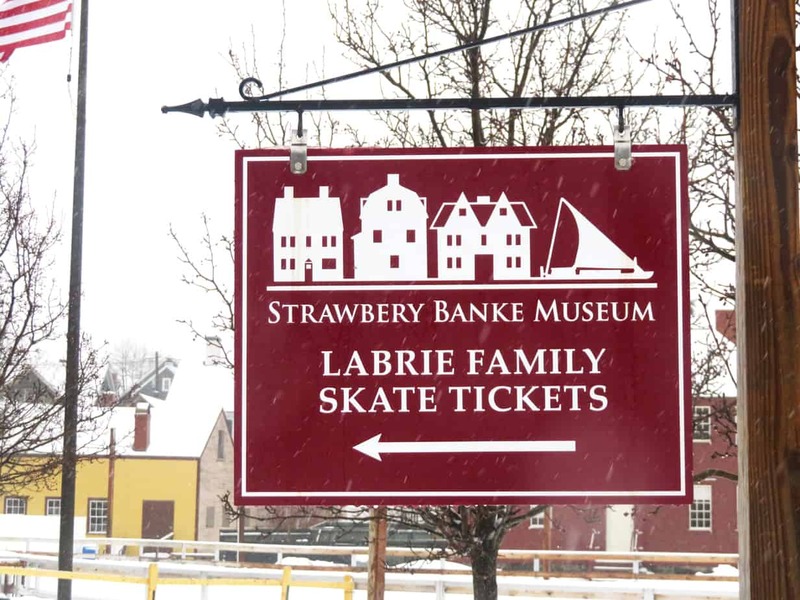 While it is beautiful to visit during the summer, particularly if you want to view the gardens in full bloom, if you happen to be there during the winter months they also have the Labrie Family Skating Rink, which is popular with locals and visitors, open from December to February. 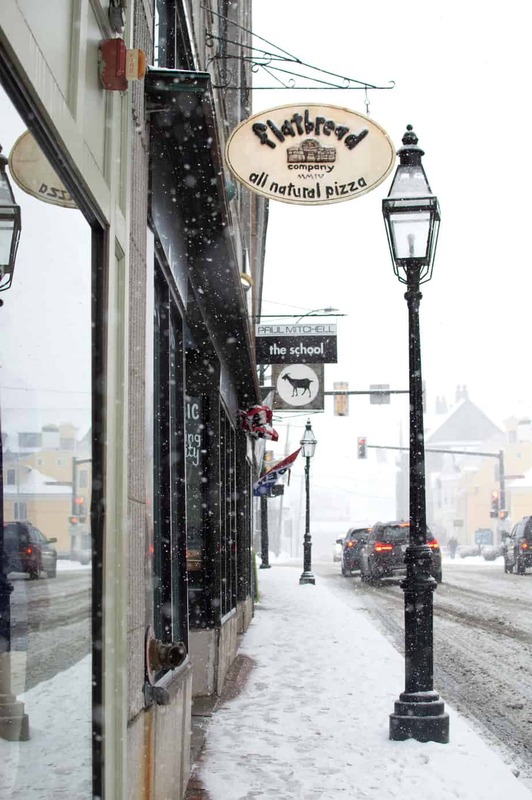 After visiting Strawbery Banke, you can make your way back into town and back up Congress Street to Flatbread Company, one of my all-time favorite pizza places. They are part of another small franchise with 16 locations, mostly in the New England area. The Portsmouth one is located in a cool industrial space with a tin ceiling and exposed ductwork with rustic wood tables and booths. They specialize in wood-fired, clay oven pizza using locally sourced, natural ingredients. My favorite is the Portsmouth Community Flatbread, which is a red sauce pizza topped with organic caramelized onions, organic mushrooms, whole milk mozzarella, parmesan cheese and their special herb blend. They also make a carne and a veggie special that changes daily, both of which are always very creative and extremely delicious! They had a veggie special once which was made with a sweet potato puree, goat cheese, and a honey drizzle that I still dream about sometimes. 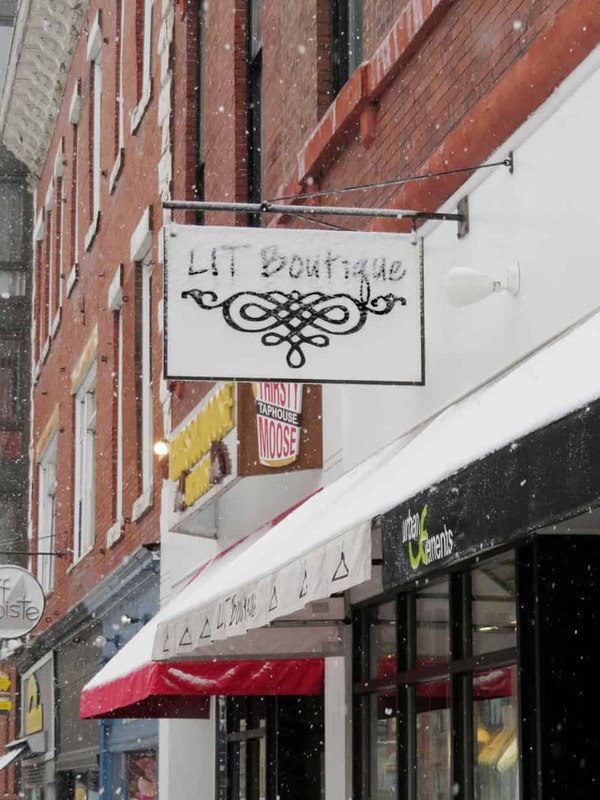 One of my favorite Portsmouth NH activities is to explore the lively downtown area which is packed with wonderful and unique small businesses. Shopping here is also tax-free as New Hampshire doesn’t have a sales tax! There are far too many great shops to list them all here so I’ll just highlight some of my favorites. The only way I can describe Inside Out is that it feels like New Hampshire. 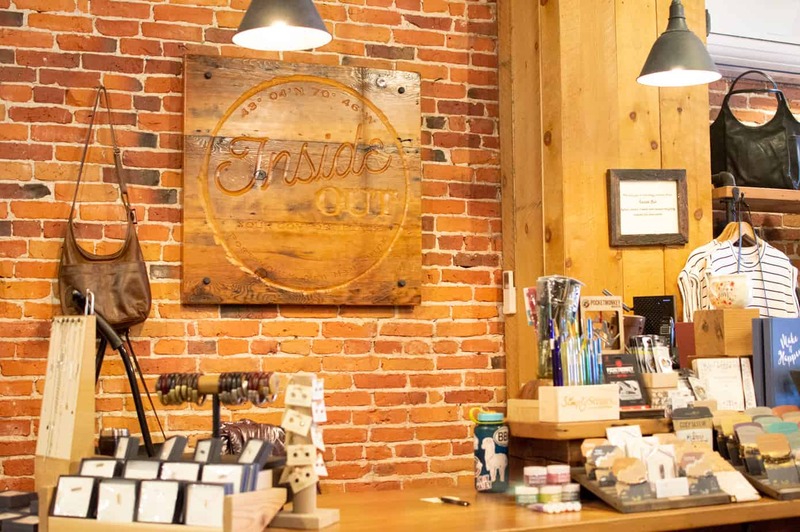 The interior is all cozy brick and rustic wood with worn leather seating and their merchandise consists of comfortable yet fashionable women’s and men’s clothing as well as gifts, craft cocktail tools and accessories, homeware, and kids toys and books. 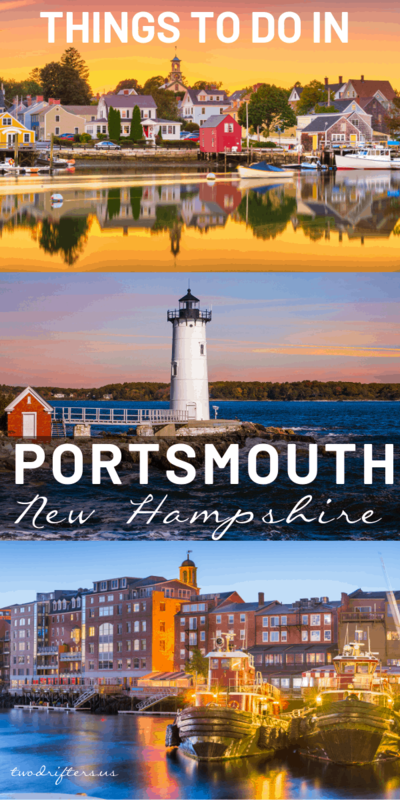 In particular, if you’re visiting and want to pick up a unique souvenir, they have a wonderful selection of Portsmouth-themed merchandise like jewelry and bottle openers with Portsmouth’s coordinates or map on them. Every time I walk into LIT, I want everything. 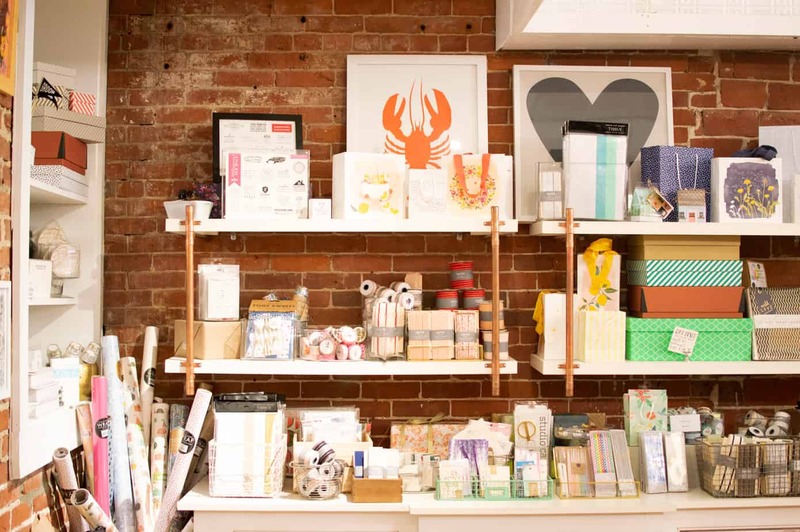 This super trendy boutique has three locations: 2 in Boston and 1 in Portsmouth. The Portsmouth location is very fun to explore as they always have a great selection. The jewelry, in particular, is always really beautiful and unique while being affordably priced. I never walk out without buying something! If you don’t live nearby but want to check them out, they also have a great online store. 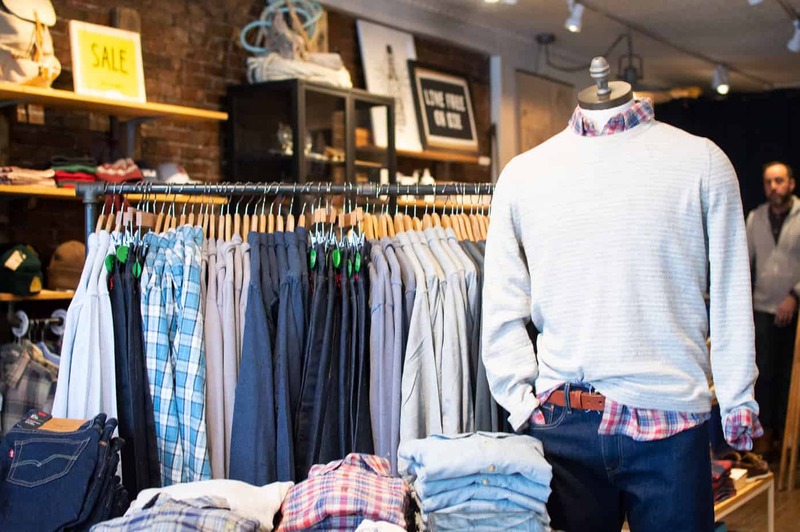 I always love finding a great menswear store and Sault, which was founded by owner Philip Saul in 2011 with hopes of creating a place that helps men achieve comfortable, effortless fashion certainly delivers. 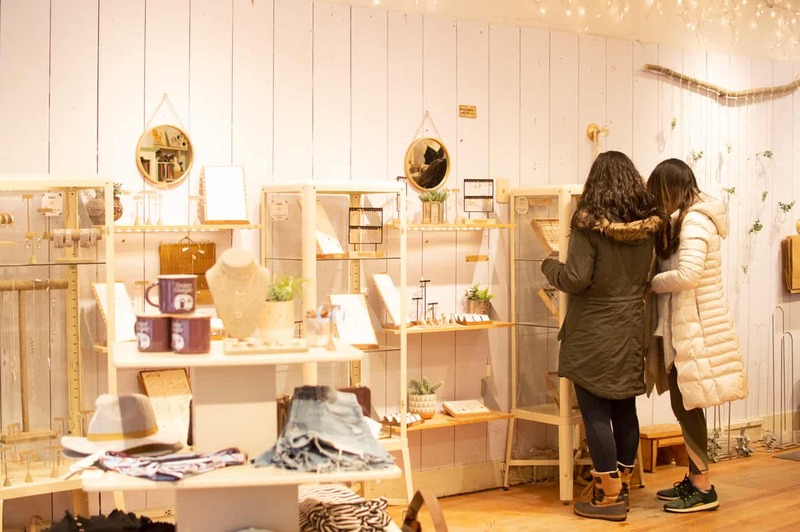 It isn’t very big but their carefully curated selection (which is a mixture of current trends, vintage items, and classic New England fashion) is always fun to check out. 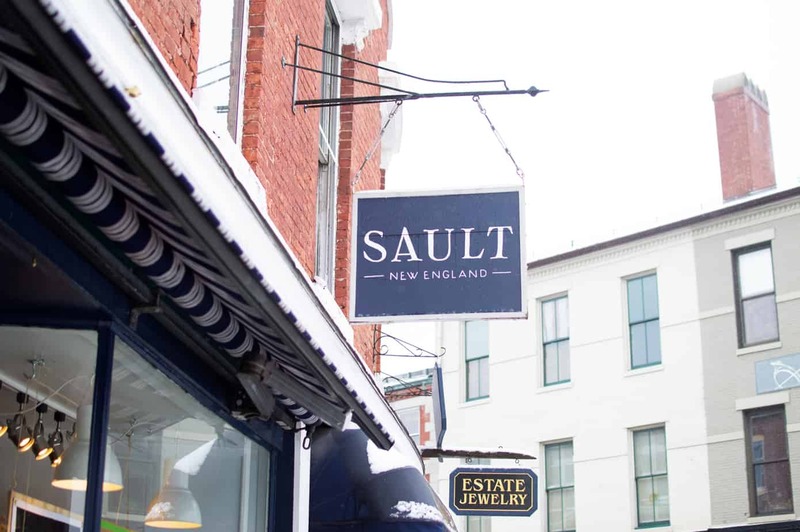 I particularly like to visit when looking for gifts as I never know what to buy when shopping for a guy, but Sault makes it easy. 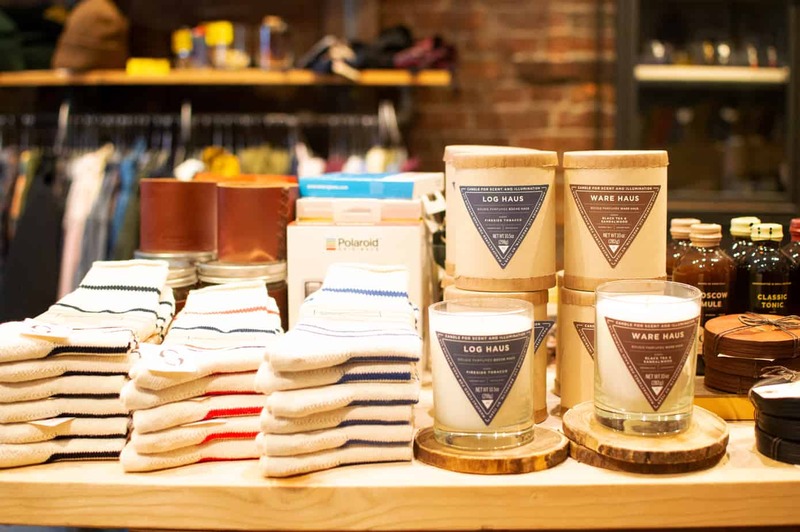 Alongside the clothing, they also carry accessories, vintage goods, a gentleman’s apothecary and other gift items. paper goods. 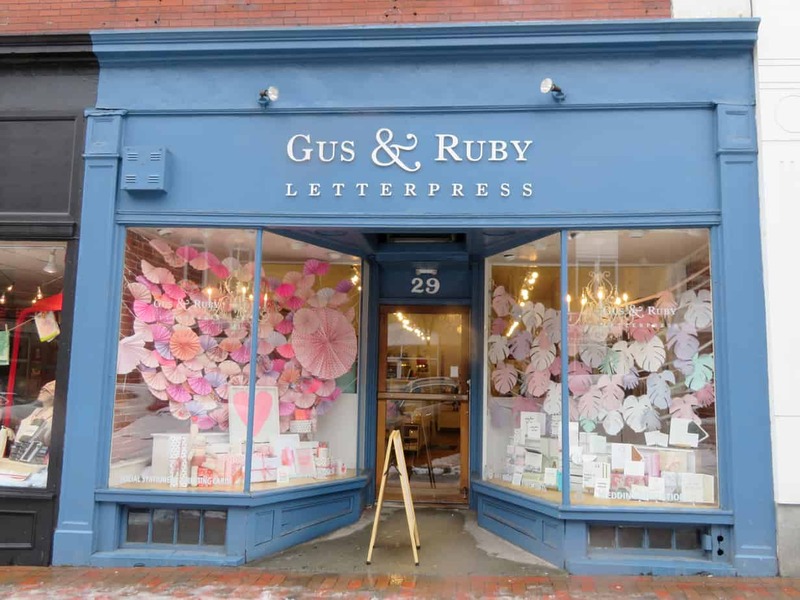 Now they specialize in creating wedding invitations, but for the casual visitor, their store is full of beautiful art prints, wrapping paper, cards, and other stationery goods. The perfect place to get a gift for the design enthusiast in your life or pick up something cute for yourself! 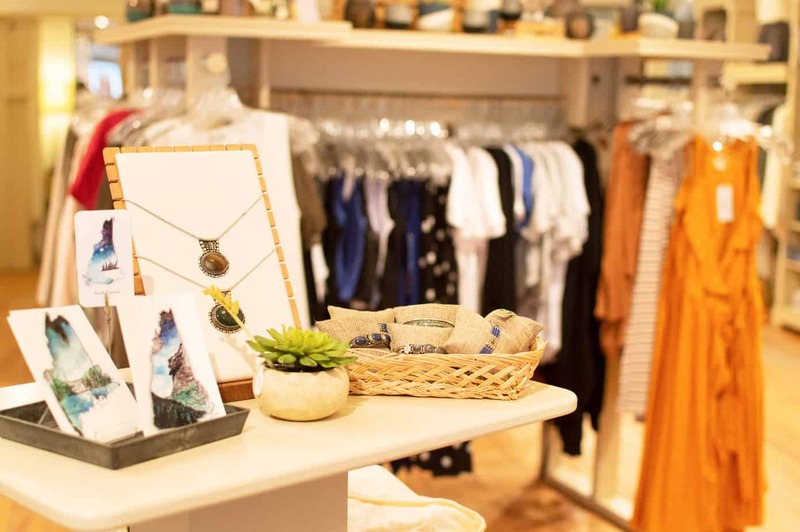 Located on Pleasant Street in downtown Portsmouth, NH, Serendipity is a boutique which specializes in boho-chic women’s clothing, accessories, and home goods. The space itself is beautiful with light wood floors, white paneled walls, and fairy lights and the selection is always full of gorgeous and unique pieces to help you step up your fashion game. 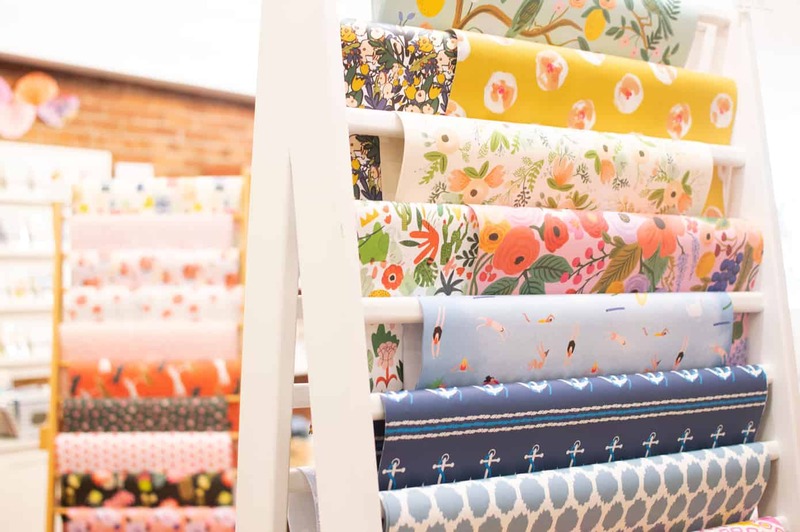 The prices range from affordable to a bit more steep but if you’re anything like me, you’ll always find something you need to take home with you. imported and locally-made, including greeting cards, candy, stationery, books, toys, perfume, candles, jewelry, clothing, and accessories. 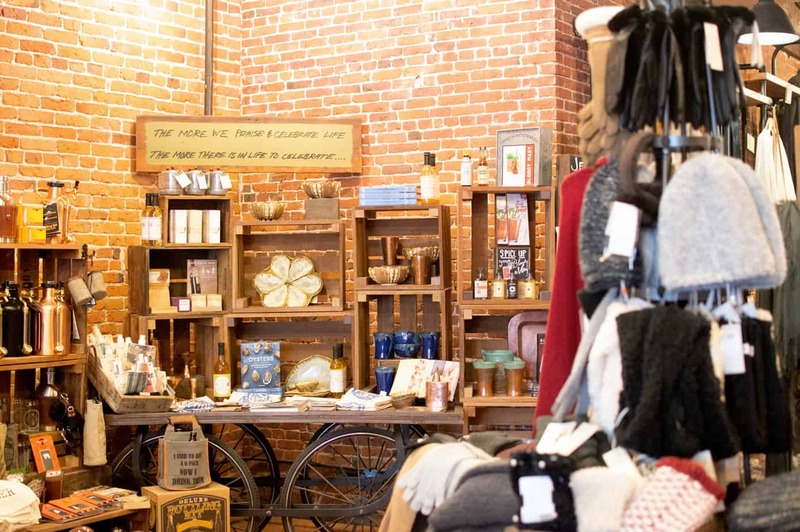 Fantastical and full of whimsy, shopping at Pickwick’s is definitely an experience. 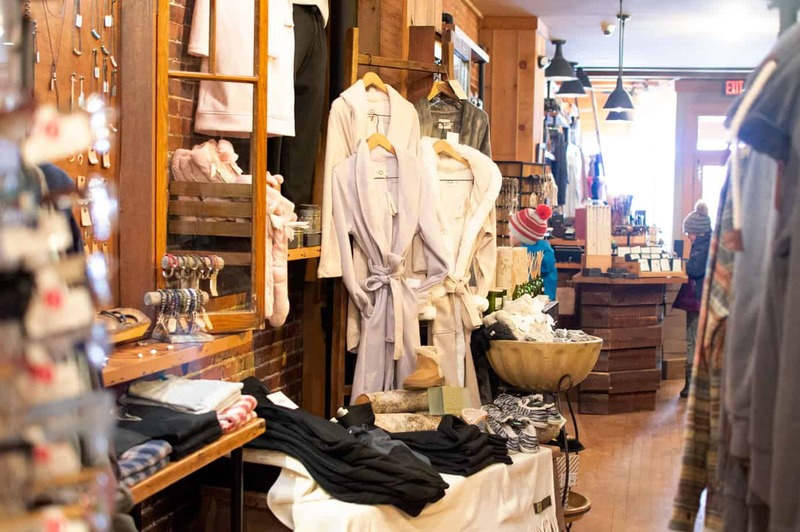 In addition to their flagship store, they also have a few other locations including Deadwick’s Etheral Emporium, Lady Pickwick’s, and Pickwick’s at the Banke (Strawbery Banke’s museum store). They also own a cafe called Fezziwig’s Food & Fountain (more on that later). 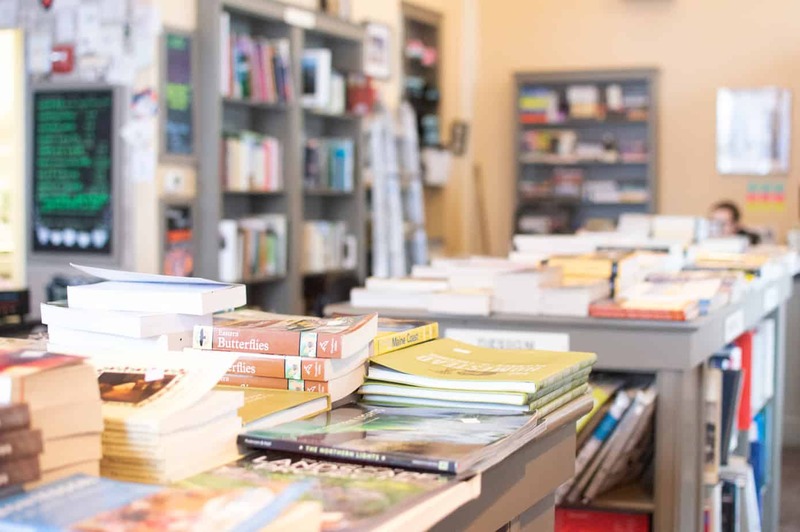 owners John Petrovato, Jon Strymish and David Lovelace who are all longtime booksellers. They also do events such as live music, book readings, signings, and film screenings. their dishes are prepared daily from scratch using fresh ingredients and everything I’ve tried has been absolutely fabulous. This is definitely one of the best places to eat in Portsmouth. 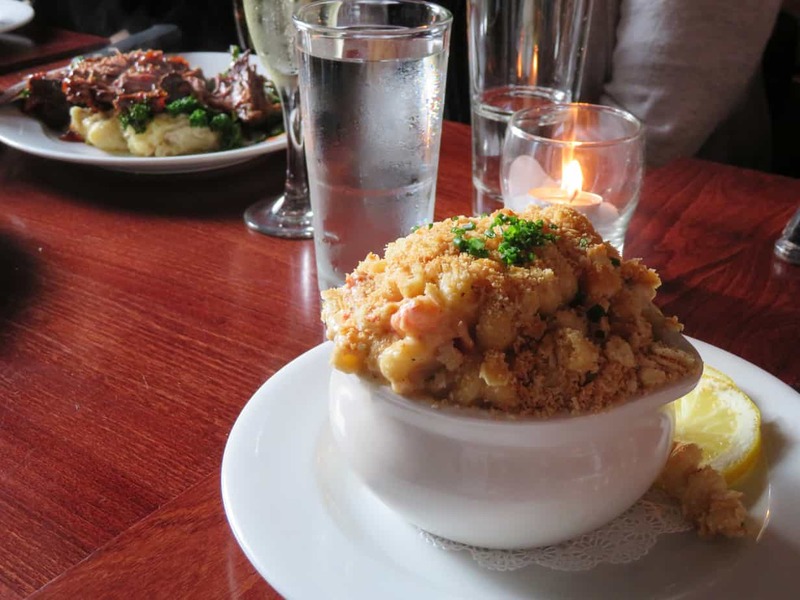 If you go, I highly recommend their Lobster Mac & Cheese entree which is rich and full of complex flavor as well as the Red Wine Braised Short Rib which is served with housemade mashed potatoes and a beurre rouge sauce. Also, the cornbread side is amazing! 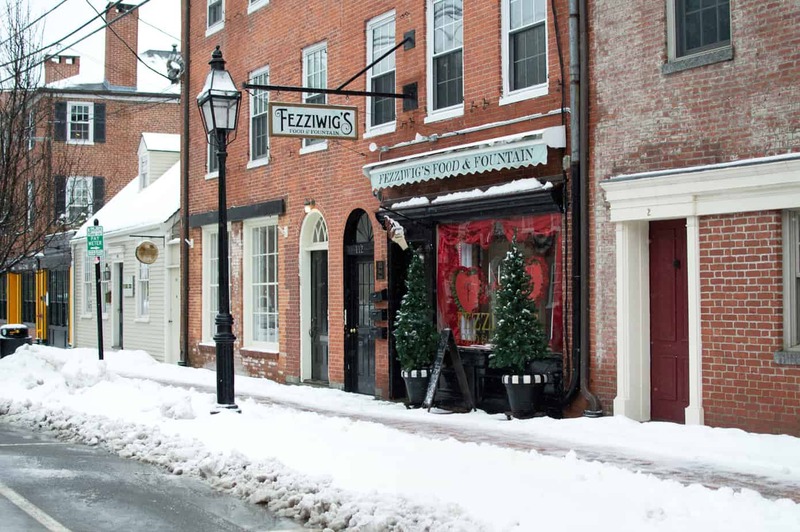 Fezziwig’s Food & Fountain, which is owned by the same people as Pickwick’s Mercantile, shares that nostalgia for a bygone Dickensian era. 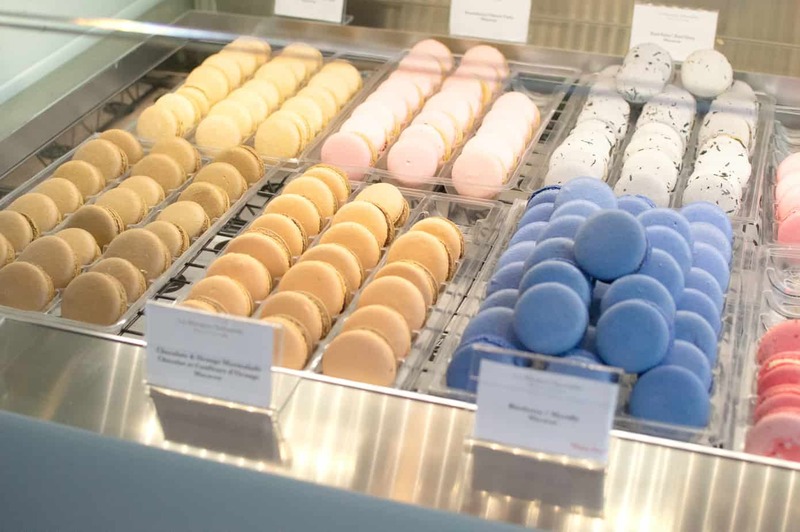 It has a slightly brighter interior than Pickwick’s, with a brick wall with booth seating on one side and the other featuring white painted shelves displaying fanciful tea sets as well as teas, candies, and other goodies that are available for purchase. The costumed employees and ivy wrapped chandeliers make you feel like you’ve stepped right into the pages of Alice in Wonderland. This quaint little soda fountain and cafe is well known for their spectacular sundaes and milkshakes and is a wonderful place to stop in for a treat, a coffee/tea, or a sandwich. espresso poured over it. So good! New England and craft beer go hand-in-hand. 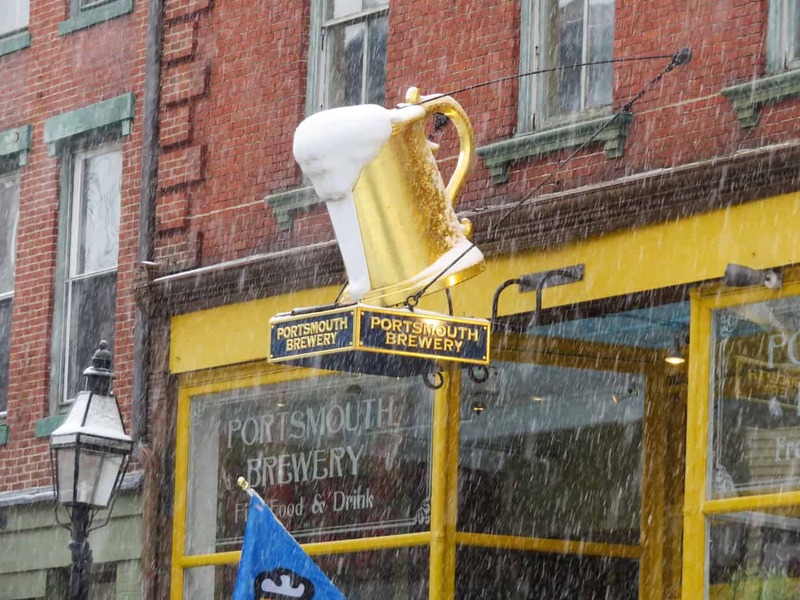 The Portsmouth Brewery has become a staple of downtown since they opened in 1991. 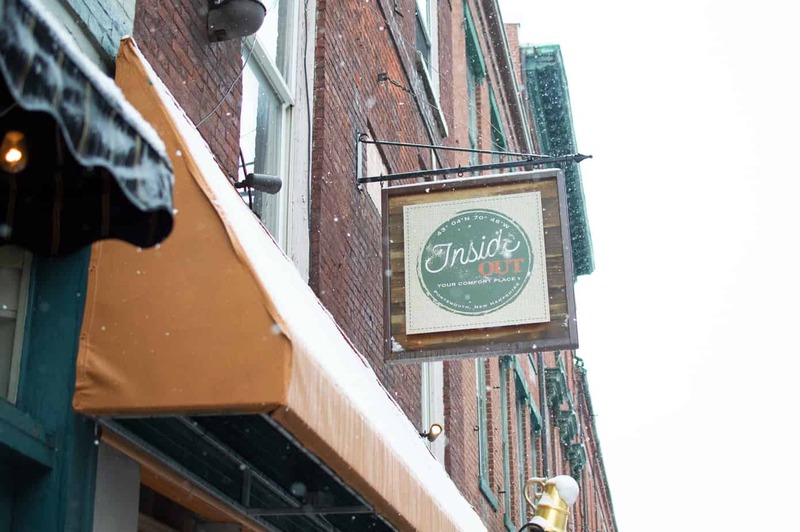 If you’re looking to try a pint of housemade New Hampshire beer this is the perfect place to go. They have a busy bar area as well as an outdoor courtyard in warmer months and a wide selection of beers to try. 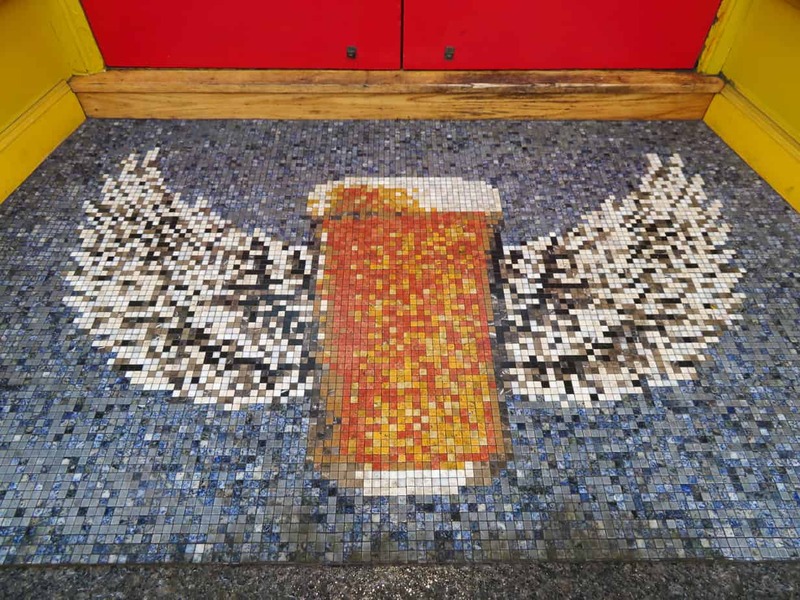 You can also get an amazing Instagram post with the mosaic on their front stoop! 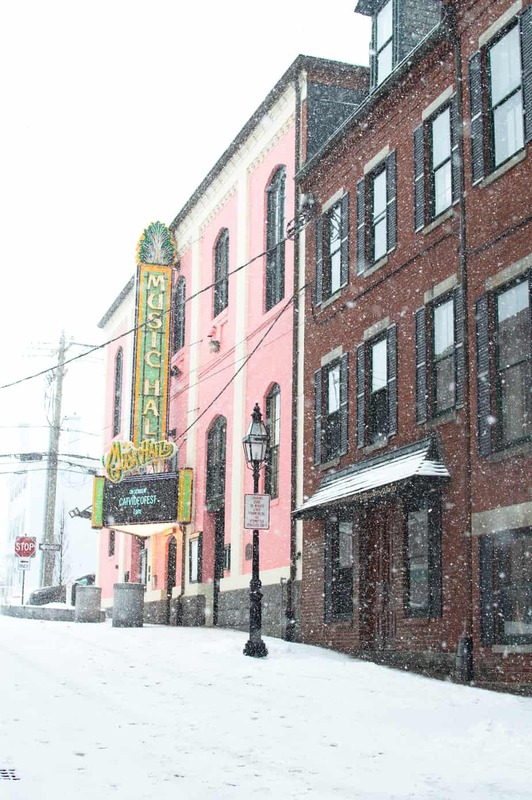 The Music Hall, a historic venue that claims to be the oldest operating theater in New Hampshire, started out as a Vaudeville theatre. 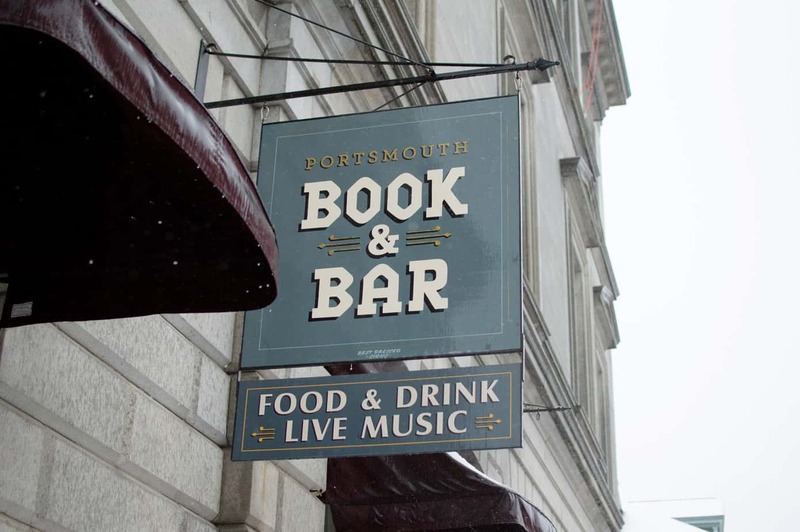 It has now become a big cultural and artistic hub for Portsmouth hosting all kinds of entertainment including musicals, live concerts, and movie screenings. The building itself is beautiful, decorated which much of the opulence typical of Vaudeville-era theatres and their eclectic array of programming means there’s always something interesting happening. 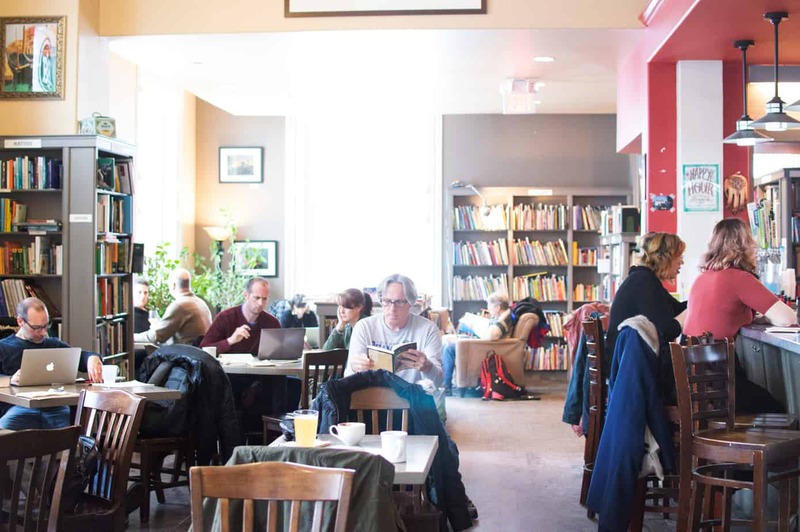 They also have another location called the Music Loft, which is a small, contemporary black box theater where they host more intimate events like Songwriters in the Round. Here are some Portsmouth, NH attractions that might interest you depending on the weather and season. bring your own blanket and chairs for live concerts, movie nights, and musicals. Outside of Portsmouth’s downtown area, another fun activity is taking a trip out to the Portsmouth Harbor Lighthouse. While it can always be viewed from afar, if you actually want to go inside they offer open houses every Sunday from late May (Memorial Day weekend) through mid-October (Columbus Day weekend) from 1:00 p.m. to 5:00 p.m and tours are available on a first come, first serve basis with no reservations necessary. There is a suggested donation to climb the lighthouse is $4 for adults and $2 for children 12 and under. Remember not to wear sandals if you want to climb the ladder to the lantern room and see the spectacular view! In 2017 Travel + Leisure Magazine called Portsmouth ‘the Christmas Capital of North America,’ and it certainly lives up to the title. Vintage Christmas in Portsmouth is a month-long holiday celebration that kicks off on December 1st with the Portsmouth Christmas Tree Lighting and Illuminated Holiday Parade and continues throughout the month of December. 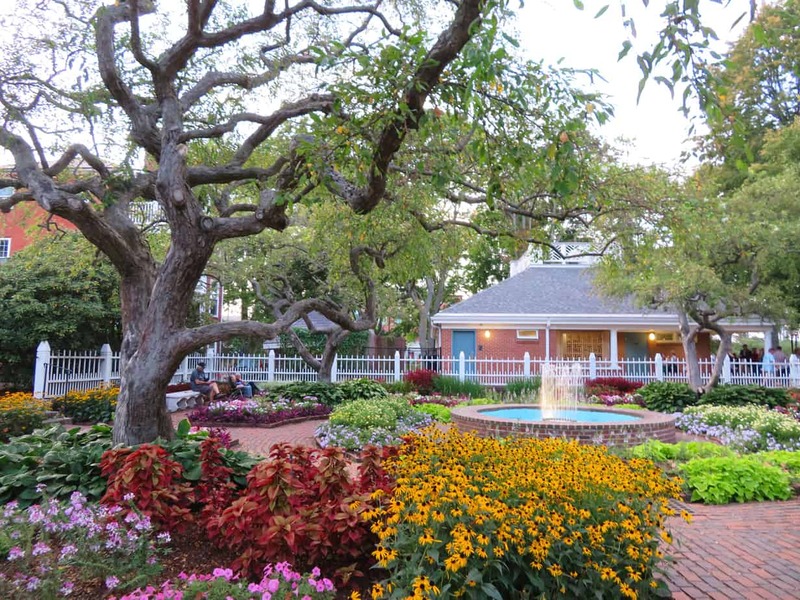 hundreds of candle lanterns as well as a bonfire, and the historic homes are decorated with live greens and dried flowers and herbs collected from the Bank’s several historic gardens. As mentioned before, December also marks the opening of the Labrie Family Skating Rink which adds more to the list of fun things to do in Portsmouth in the winter. Portsmouth is an amazing place to visit any time of the year and every time I go I always find something new and exciting I hadn’t known about before. 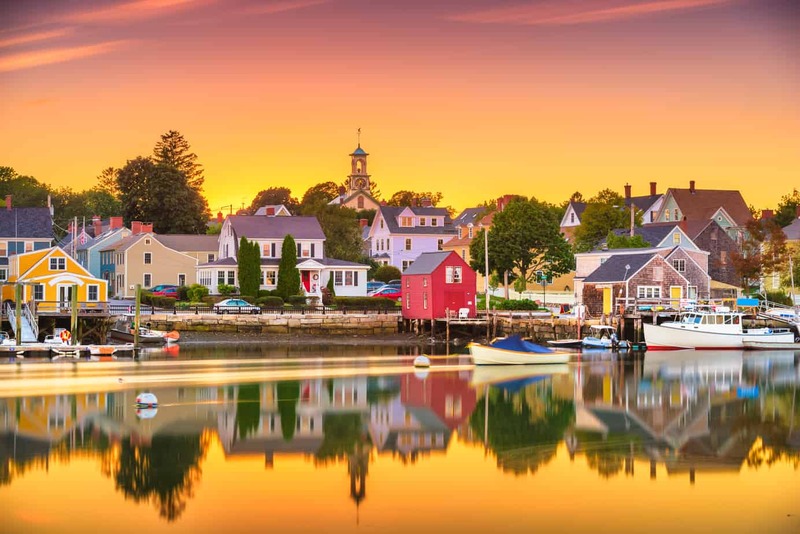 If you’re looking for a great time for all ages, put this picturesque New England town on your list. Portsmouth, New Hampshire, USA town cityscape on the River at twilight. 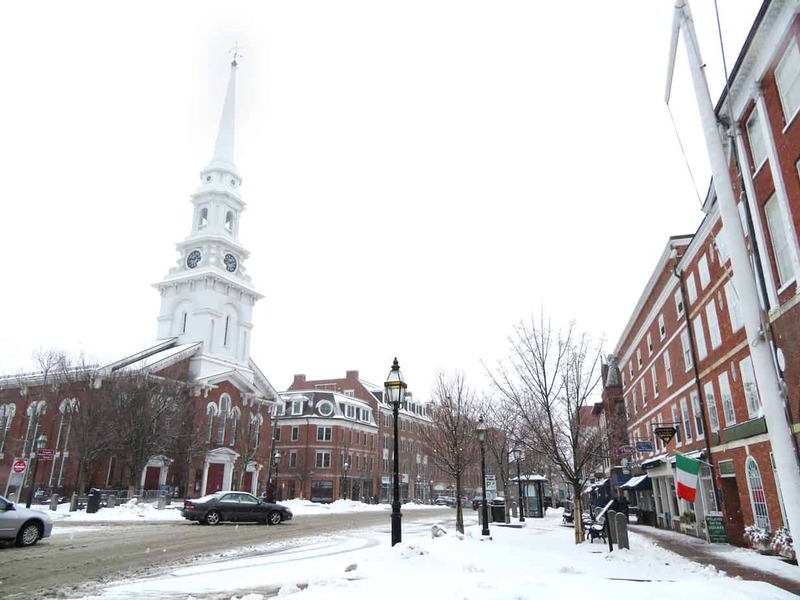 Your visit to Portsmouth is complete with the perfect Portsmouth, NH lodging. 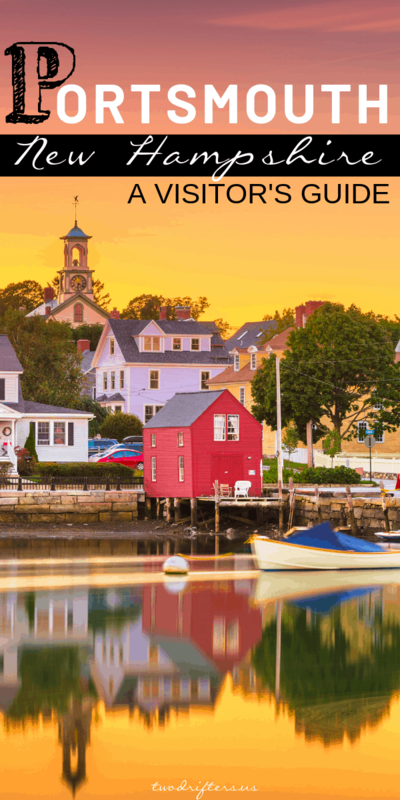 While author Tori hasn’t stayed at any of these particular Portsmouth NH inns, they are all very highly reviewed. Ale House Inn is located in the historic Portsmouth Brewing Co. building (c. 1880) very near Prescott Park. It is decorated with a modern loft feel and the rate ranges from $129-$339 per night. Some important things to note are that they have 12 exterior steps you must climb to enter the historic building, they offer free parking for one vehicle (but it is not guaranteed due to the central location, available only on a first come first serve basis) and they don’t serve breakfast. The front desk is staffed daily from 8AM to 8 PM and they offer some unique amenities which include the use of their fleet of Trek cruiser bicycles, discounted golf rates at nearby Sagamore-Hampton Golf Club and a discount off a sail with the Gundalow Company. The Hotel Portsmouth is located less than a 10-minute walk from Market Square. It is a beautifully renovated 138-year-old mansion that is a classic example of Queen Anne Victorian architecture with a perfect blend of historic charm and modern amenities. It has a total of 32 rooms (one of which is pet-friendly!) and offers 24-hour front desk service. 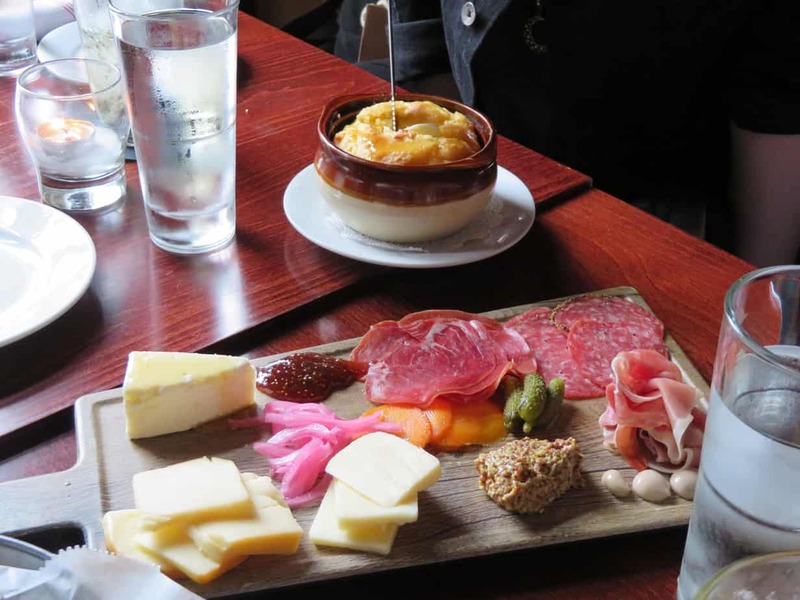 Amenities include a curated small plates breakfast and afternoon treats, complimentary parking for all guests, and gathering spaces for corporate and private events. Rates range from $129-$469 per night. 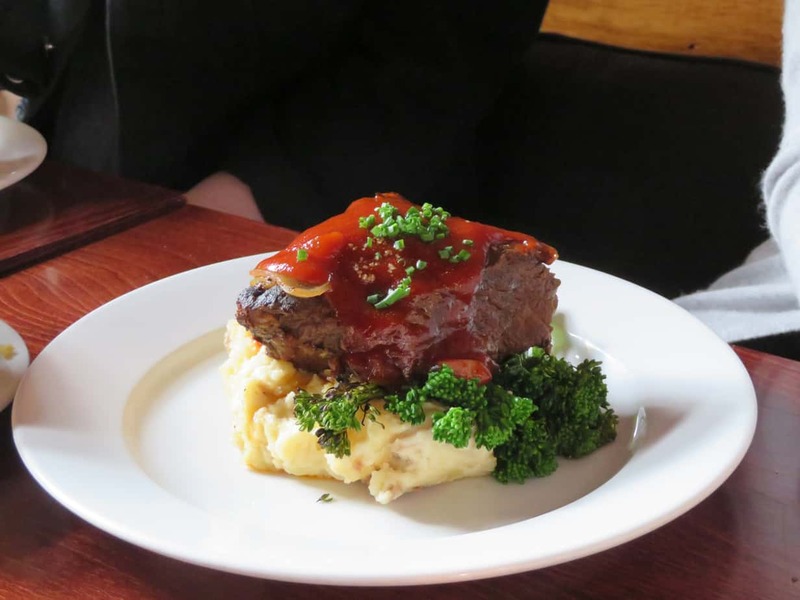 Looking for a cozy bed and breakfast in Portsmouth, NH? The Sailmaker’s House which is an intimate boutique 10-room inn located right down the road from Strawberry Banke. Due to this historic nature of the home it features many quirks typical of New England architecture at that time such as narrow stairs, slanted pine floors, and original windows which add to the charm but unfortunately mean that it is not handicapped accessible and may not be suitable for children under 12 years of age as there are many small, fragile items scatted about. They don’t currently offer any food services but do offer other amenities such as coffee, tea, water, and snacks which are available in the lobby, access to the beautiful perennial gardens, keyless access, and on-site parking (which is also available on a first come, first served basis). If you’re visiting with a large group it is also possible to book the whole house for your stay. They also own the beautiful Water Street Inn in nearby Kittery, ME which is another nice place to stay. Want $40 off your first stay with AirBnb? Use our link below to save! $40 off your first AirBnb ! For more hotels near Portsmouth NH check out the options at HotelsCombined. About the Author: Tori Trogani is a blogger and content creator based in Boston, MA. Her blog, Live. Travel. Adventure. Bless. which is co-written with her mother Julia Trogani, focuses on adventures big and small and highlights the best things to do, places to eat, and locations to explore in the New England area. Check out the blog here to find more content like this and follow @ltabblog on Instagram! She also works as a content creator, graphic designer, and photographer for small businesses and you can find examples of her work at www.victoriatrogani.com.